You are here: Home / Attachment Parenting / Pregnancy / Its a girl!!! Oh congrats!! What a blessing! awww…what a sweet profile pic! A girl! I already know from GCM, but a girl! How great! I’m sooooo looking forward to seeing my little one, too. Congratulations!! Was it a girl you were hoping for? ((We are – I’ve got a girl (6) and two boys (3 and 22 months), and the girl REALLY wants a baby sister. Although I know I’ll love a boy just as much. Boys are so much huggier. Congratulations! 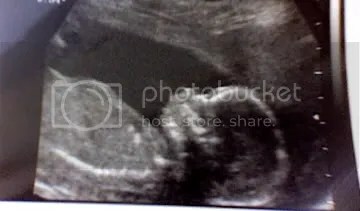 My last child, a girl, was the first one I had an ultrasound with… and your pics are remarkable! 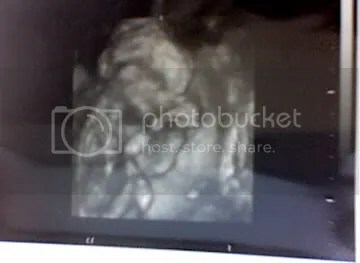 She’s got a beautiful profile already! How fun! Two girls and a boy. Hmmm- I’m pretty familiar with that set-up! Anna, I would’ve been equally happy either way, but we are very excited to have another girl 🙂 This will probably work out better as far as our room situation goes. I wondered how sharing rooms would work for my ds since he will be almost 6 when the baby is born and that is quite a gap. Congrats on your little girl!!! We’re trying to have another and I would love it to be another girl!! We already have 2 boys and 1 girl! I’ve enjoyed reading your blog. I clicked the link in your siggie at GCM. Congrats on your baby girl! We’re having a girl too, in November. Best wishes to you and your family.